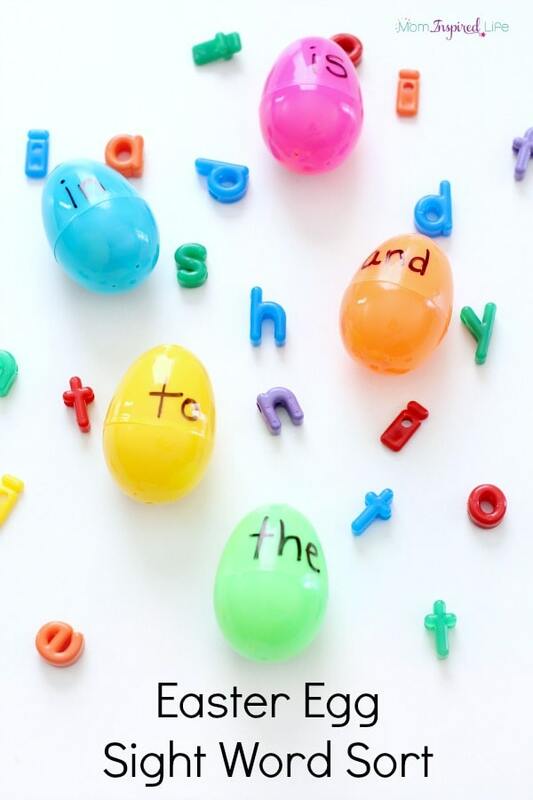 This Easter egg sight word sort activity is so easy to set up and you can do it with any sight words or spelling words you want. It’s also great fine motor practice! 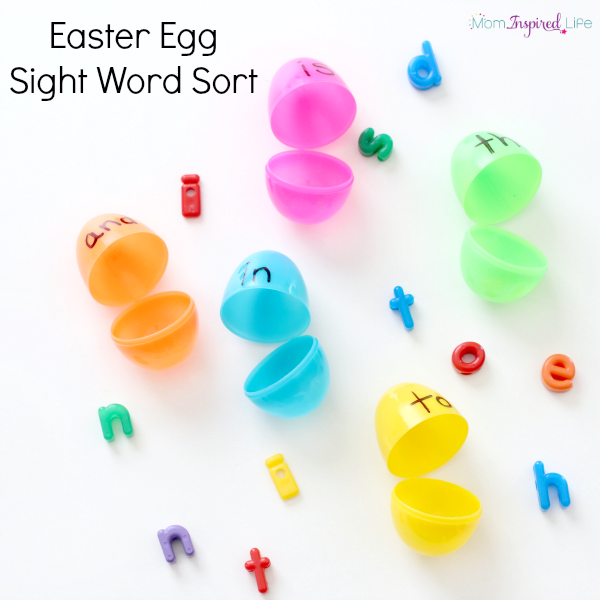 My son has really taken an interest in sight words over the last couple of weeks, so I am following his lead and doing a few more sight word activities. 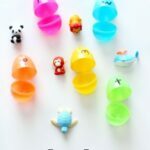 Since Easter is coming soon, I thought it would be nice to use Easter eggs for one or two of them. 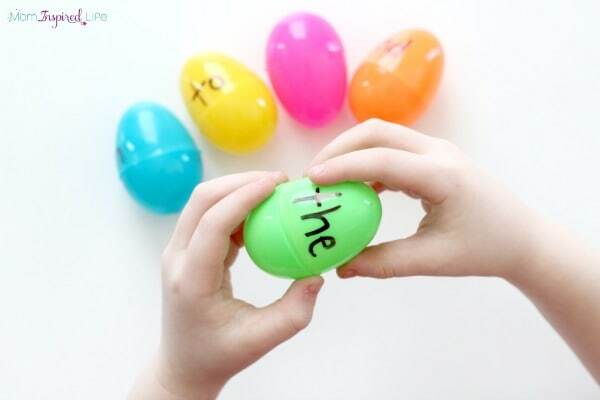 Write one sight word on each egg with permanent marker. Repeat for each word you are using. 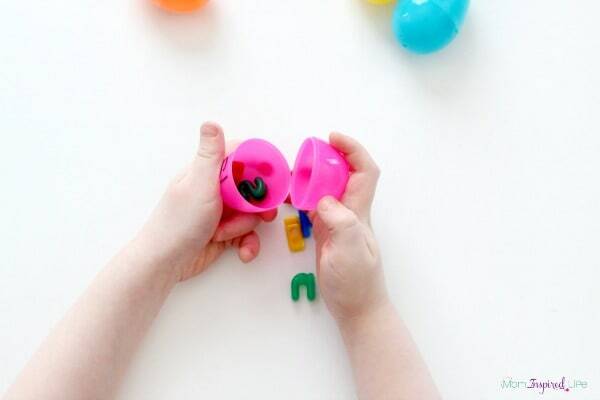 Pull out the letter beads needed for each word and put them in a pile. 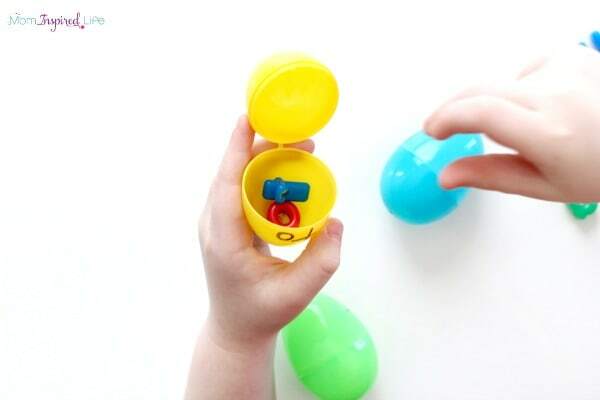 I laid the empty eggs next to the pile of letters and invited my son to sort the letter beads to the corresponding Easter eggs. He quickly got to work sorting the letters. 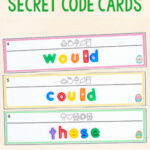 This is an excellent way to introduce sight words to kids or to review sight words that are fairly new. 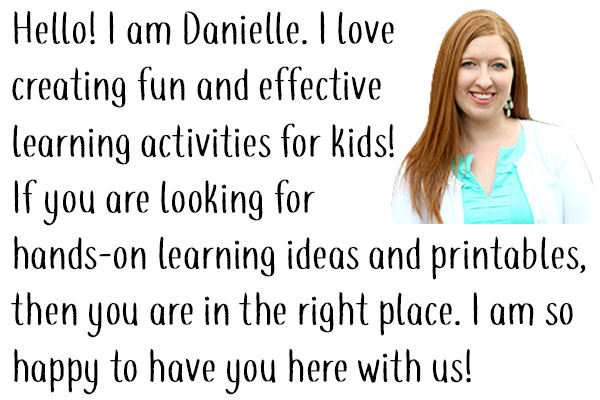 It takes the pressure off of kids to spell them from memory and just allows them to explore the words and become more familiar with them. I plan on doing this again this week to introduce some new sight words to my son. I think it will be a great way to for him to get some hands-on exposure to new words and engage with them in a way that is not intimidating. 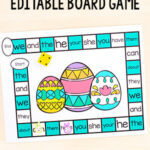 I love that I can pull this together in a matter of minutes and use it to teach any sight words I would like to. 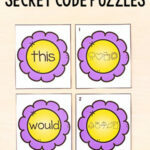 If using them to review words, this activity can be done independently. It would make an excellent addition to literacy centers. This is sure to be a go-to activity for me this month! 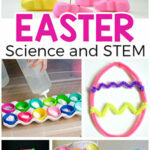 Here are some more Easter activities for kids!